Businesses have nothing on the International Federation of Red Cross and Red Crescent Societies when it comes to risk management. Many commercial organizations take a hit every time something out of the ordinary happens. Profile spoke to Ben Gilad, Mark Chussil and Henri Schildt about risk, early warning systems and how to turn early warning into early action. Wahlström’s point is also trenchant for the business world. One of the central ways to manage risk is to incorporate an early warning system – and make sure it is both useful and put into practice. We are still coping with the aftermath of the global credit crunch, which was neither predicted nor prevented, although numerous early warning systems were in place for banks at the national, regional and global levels. The question is, why? As Barrel et al. (2010) put it, early warning systems for OECD country banks were not looking at the right indicators. Banks, possibly, can flirt with bankruptcy knowing that governments are likely to bail them out. Businesses have a slightly harsher reality. For industry it is wiser to try to stay in business on their own. There are various ways to construct a business early warning system. Ben Gilad is a pioneer in the field of Competitive Intelligence. He is a former Strategy Professor at Rutgers University School of Management, author of Business Blindspots and Business War Games, and founder of the largest competitive-intelligence training institute in the world (ACI). Gilad’s Strategic Early Warning system is about limiting surprises in the business world. Philip Kotler has said that it is one of the most effective tools management can use in managing chaotic environments. Why does it work? “Strategic early warning is about anticipating market developments before everyone and their mother know about them. So when it works, it makes the organization more proactive, it decreases the damage from strategic threats and lowers the price paid for fantastic opportunities,” Gilad says. Gilad says there are many examples where early warning could have made a world of difference – and saved countless jobs. He says that if Kodak had initiated the shift to digital cameras instead of being dragged into it, it might have been able to avoid bankruptcy, as Xerox and IBM did by changing their strategies in time, and if Yahoo had anticipated the change in the market from edited content to individuals doing their own search, it could have bought out Google for peanuts in 2000. “If a company is proactive, turmoil gives it an edge, for example, Apple. If it is reactive but agile, turmoil can be controlled, for example, Samsung. If it is simply late, turmoil can be serious trouble, for example,” says Gilad and here he politely stops in deference to his Finnish audience. For organizations involved in disaster relief early warning and preparedness is useless without early action. It is paramount to empower all those who need to take action to act according to plan, minimize damage and save lives. As the Red Cross and Red Crescent puts its task, “Routinely taking humanitarian action before a disaster or health emergency happens, making full use of scientific information on all time scales.” In the business context, this approach could save companies from bad strategies, predict risk and prevent crises. Mark Chussil is Founder and CEO of Advanced Competitive Strategies and a pioneer in quantitative business war games and advanced strategy simulators. He has thirty-five years’ experience in competitive strategy, one patent and another pending on simulation technology, and has worked with dozens of Fortune 500 companies on six continents. A sought after public speaker, Chussil has a ready answer when asked how organizations should make sure they turn Early Warning into Early Action – but he suggests that one might want to take his answer with tongue in cheek. Chussil says, “People don’t make bad decisions on purpose – and they don’t make bad decisions by accident or because they don’t care. Smart strategists choose bad strategies because they think they are good strategies.” He says that such factors as overconfidence, cognitive dissonance, vivid and recent experience, fear and assumptions can all have an impact on our decision making and strategy formulation. One way to ensure Early Action is for a company to collect and utilize appropriate Competitive Intelligence. With this information at your disposal, you are more likely to actually get up and do something – bridge the gap between knowing and doing. “Today, competitive advantage lies not in collecting reams of useless data, but in having star analysts identify major industry changes before your competitors or new competitors find out,” Gilad affirms. The Red Cross and Red Crescent and other nonprofit organizations have a number of advantages over corporations. They focus on creating a mission that works rather than one that sounds good or makes the leaders look good – and they find the best ways to reach people, even if it is outside their comfort zone. For example, The Red Cross and Red Crescent used Twitter and Facebook to communicate with earthquake victims in Haiti in 2010. Businesses could take a page out of that notebook – to keep the business running in difficult times it should be flexible and use whatever works to reach people. Yet, many companies still resist social media because they do not understand it or fear it. Henri Schildt is Professor of Strategic Management at Aalto University specializing in industry change and management of strategic change. Like Chussil and Gilad, Schildt looks to the human factor. Attitude is key to adapting. “We should not mix up risk and uncertainty. Uncertainty makes people make mistakes and act irrationally – risks, however, can be calculated, assessed, predicted to an extent and companies can at times make risks work in their favor,” Schildt says. He says that research has shown that if an organization sees something new as an opportunity, people at all levels are empowered to take on the challenge and try to make something out of the novel situation. Yet, when a new situation is seen as a threat, responsibility and decision making are often solely left in the hands of top management. When top management takes charge of a situation, there is often very little room for innovation or for an entrepreneurial, passionate attitude towards the change to develop. “Culture and the manner in which top management labels issues can have a far reaching impact.” Schildt says that a company’s best information regarding changes in the environment usually comes from the customer interface, at the grassroots level. “These employees could identify creeping catastrophes – if they are not pressed to focus solely on day to day business in the name of efficiency, without an outlook to the future,” he asserts. Like the Red Cross and Red Crescent Early Warning – Early Prevention system, Schildt also feels that timely, accurate information must reach the population at risk. 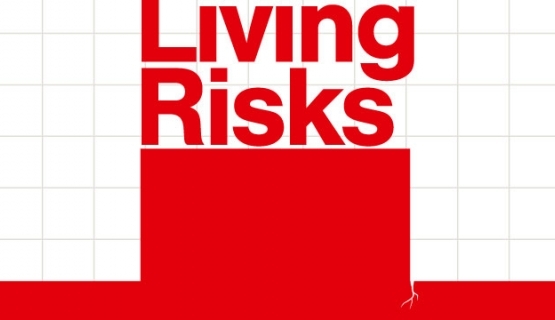 In the business world, risk often has to do with the future competitiveness of the company.